Some of this year’s tour gardens. 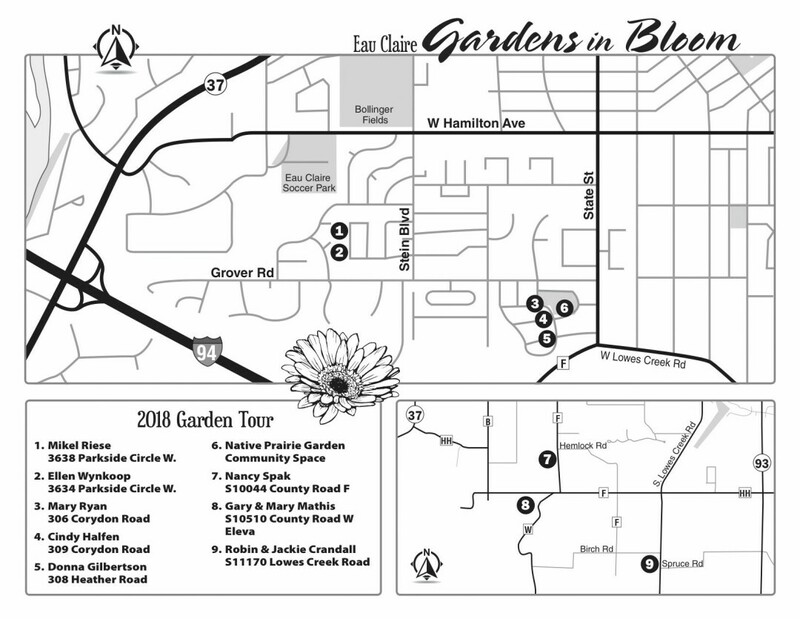 “Gardens in Bloom” is the first-ever major garden tour in Eau Claire, featuring nine lovingly planted gardens (locations). Presented by the 125-plus volunteer members of the Eau Claire Garden Club, the tour includes: a whimsical, woodland fantasy garden complete with elves, fairies, unicorns, and more; two gardens built specifically to attract bees, birds, and butterflies, specifically monarchs; a sustainable no-till heirloom vegetable garden, alongside an earth home with solar panels; a professionally landscaped country garden with a pond, waterfall, and fountain; and a neighborhood of three distinct garden styles with a restored native prairie community space and roof-top solar power system. 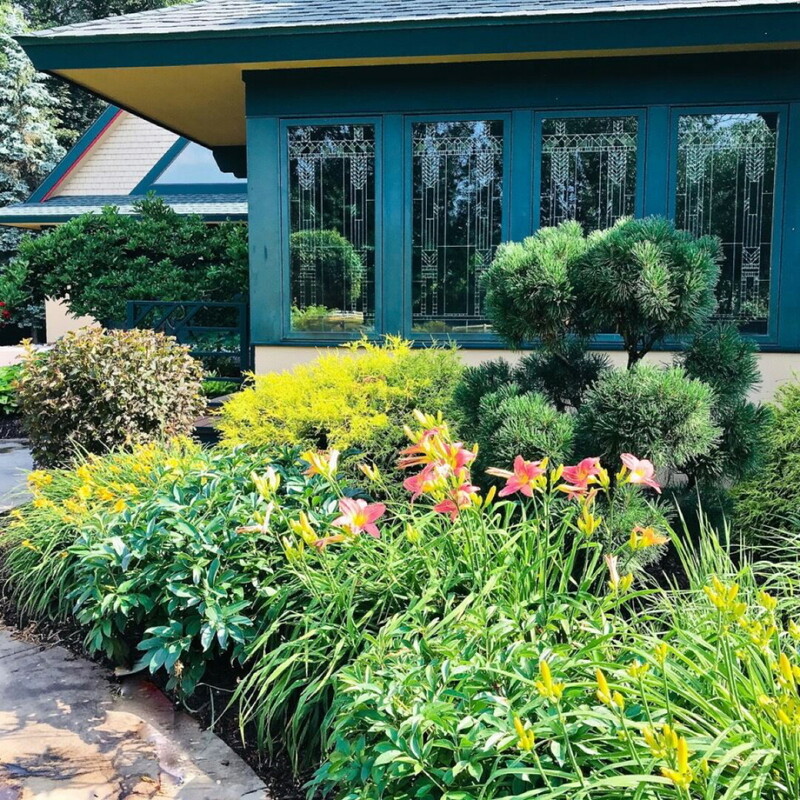 “The Garden Marketplace” will be where you can buy seeds, monarch butterfly kits, stained glass, garden art, jewelry and hand-blown glass for gardens. 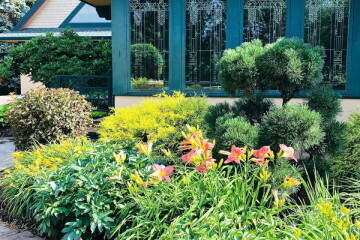 Plus, there will be a huge plant sale with all types of perennials and house plants. “Lunch by the Pond,” will offer for sale hearth-stone pizzas, salads, and desserts made by Bijou Bistro 11am-4pm. Musicians will also be playing garden music at the neighborhood stop. 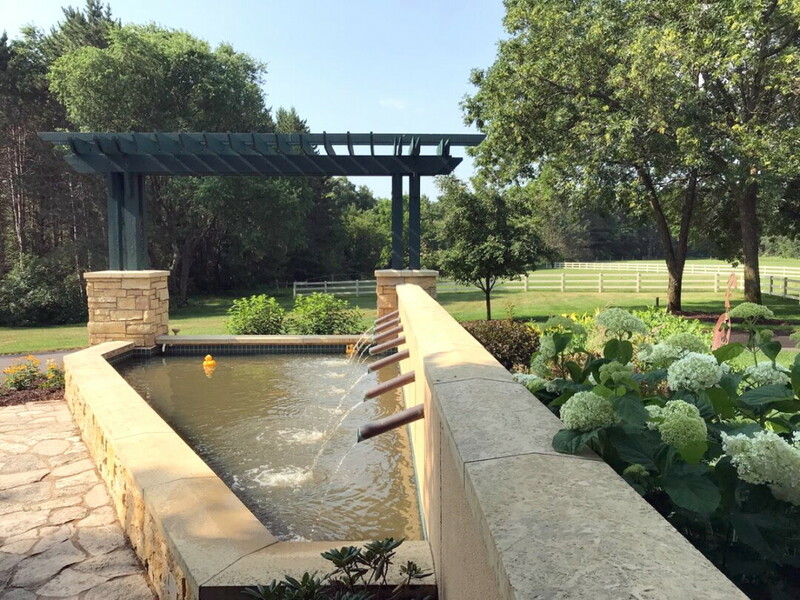 Proceeds raised from the garden tour event help fund community-based garden projects.